People like to keep important text messages that they have received about important projects on their job since it can be used as documentation at a later date. Also, people want to make sure that they have access to pictures that they have taken at family celebrations and other occasions. Specifically, because some of the pictures taken are once in life time memories. For instance, if a sister or a brother is taking pictures of a siblings wedding with their Samsung phones. Those comes the need of backup and restore Samsung phone data. The purpose of writing this article is to show you how to back up and restore data from a Samsung Galaxy device with two tools: Samsung Kies and Assistant for Android. Samsung Kies is a data manager program for Samsung devices. 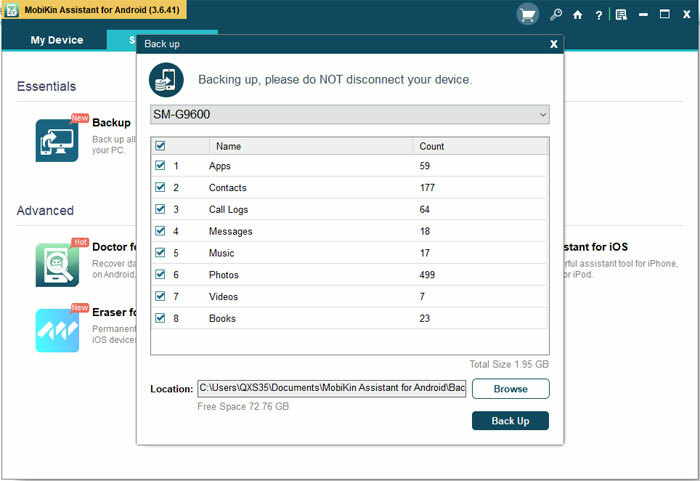 It allows Samsung users to backup, restore and manage Samsung phone data on computer. It only supports part of Samsung Galaxy devices. The following steps tell you how to use it to backup and restore Samsung phone data. Step 1. Download, install and launch the Samsung Kies app on your computer. Step 2. Connect your Samsung device to the computer via a USB cable. Step 3. 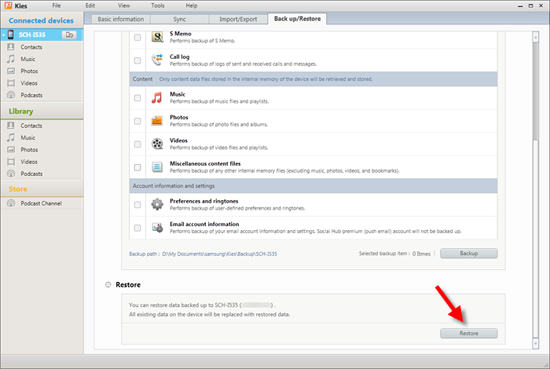 Choose "Backup & Restore" option and click "Data backup". Samsung Kies divides phone data into two categories: Personal information and Content. Step 4. 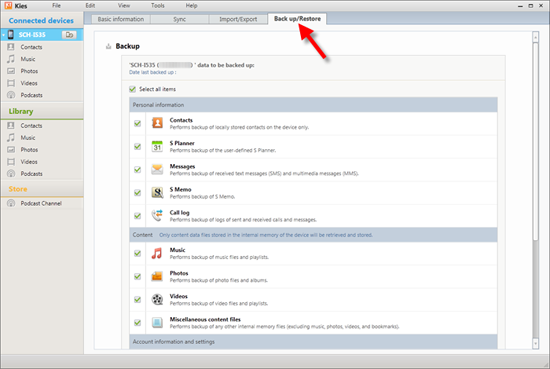 Select data you want to backup and hit the "Backup" button at the top-right corner and start backup process. Step 5. Switch to the "Restore data" option and Kies will automatically load the files your have backed up from the plug-in device. Step 6. After selecting all the content you want to restore, you can hit the "Restore" button to start the recovering process. MobiKin Assistant for Android or Assistant for Android (Mac Version) allows you to export files like photos, music, videos, SMS, selected apps, contacts and others directly from the Android device to your computer and also help you import these files from computer into Android tablet or phone. What makes it better than Samsung Kies is that: It supports almost all Android devices, not only Samsung, but also HTC, LG, Sony, Motorola, Google Nexus, Huawei, ZTE and so on. Download and install the Assistant for Android on your computer. Launch it and connect your Samsung phone to the same computer using the USB cable or WiFi. You need to enable USB debugging on your phone to make it detectable by the program. 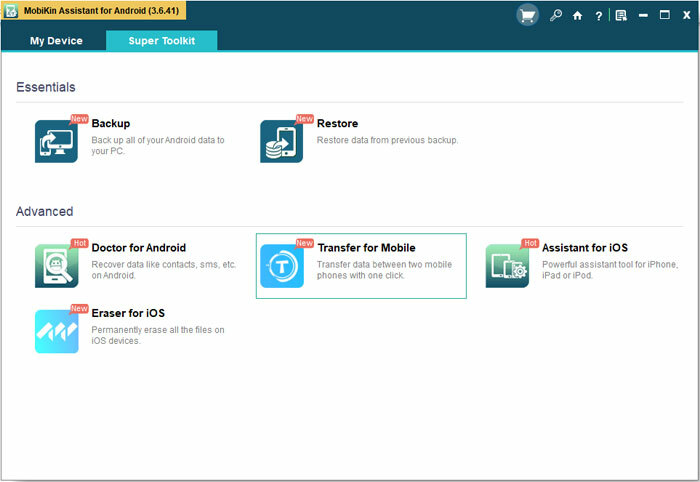 After Assistant for Android recognizes your Samsung device, you can choose the "Super Toolkit" option from the top menu to enter the 1-click backup & restore screen. Click the "Backup" tab to bring out a new window that shows all the file types you can backup. Select the files you want to backup and click "Back Up" button to save them to your computer. 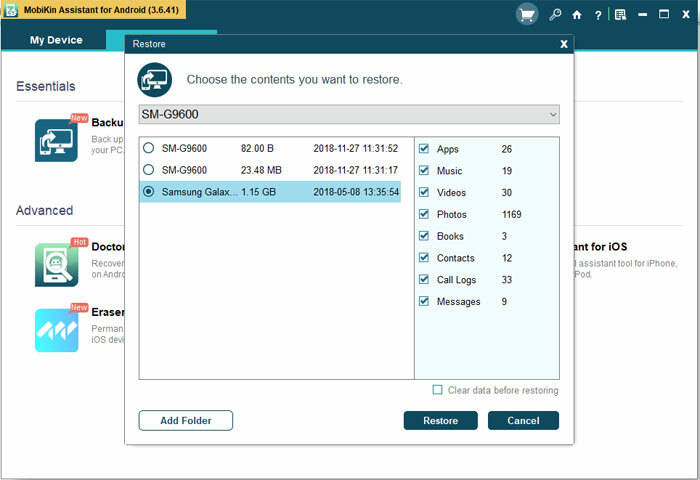 If you want to restore your Samsung device from backup files, you just choose Super Toolkit > Restore > Select the file types you want to restore to your Samsung phone, and click the "Restore" button.